A revolution is afoot. But it won't be televised. You'll find it at your dinner table, or farmer's market. And the fact is that its now unstoppable. Mushrooms are prebiotics that not only boost the immune system, but also balance the microbiome in favor of beneficial bacteria, resulting in better digestion, and, amazingly, potential weight loss! The health mechanism behind high alkaline water includes maintaining an environment by which our protective microbiota thrive. Counterintuitively, high alkaline water creates a healthy acidic gut. The truth is that measles and other childhood infections may actually protect against life-threatening cancer and heart disease. Blockchain and the Microbiome: Technology Imitating Nature? The relatively recent discovery of the microbiome is completely redefining what it means to be human, to have a body, to live on this earth. Revolutionary research illuminates that a new frontier of personalized medicine lies in the virome. Rather than harbingers of disease, viruses are intrinsic to immune modulation and to disease susceptibility. In a scenario where antibiotics or vaccines do not work against Ebola, what alternatives do we have? Everything we thought we knew about immunity has recently changed. A revolutionary new concept -- that the bacteria in our bodies is essential to our health -- is only just filtering down into modern day obstetrics. The health of our next generation depends on it. These 3 Pillars of Radiant Health can serve as guideposts for many health issues that may come up: protecting your microbiota, changing how and what you eat, and choosing non-toxic subsitutes. 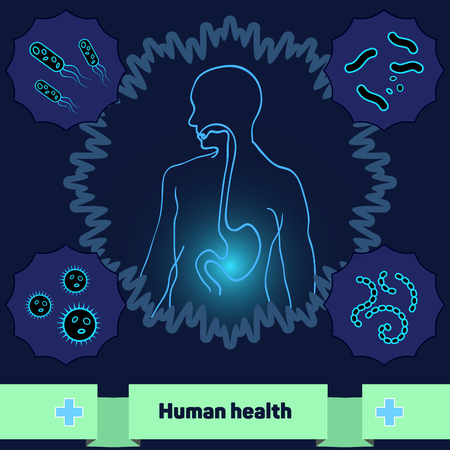 How The Microbiome Make Us "Supra Human"
Once considered the cause of most disease, "germs" are now increasingly being recognized as essential to our survival and well-being by extending our genetic capabilities with "supra human" powers.